Specifically for M:ST, Life of a Craphead are undertaking a new performance project that involves researching a tragic part of Jon’s family history, where his grandmother was robbed and killed by an off-duty U.S. soldier during the American War in Vietnam. According to a rumour in the family, the soldier subsequently served a two-year prison sentence in the U.S. and is still living in the Midwest. Life of a Craphead are trying to find out the true story, which is obscured by the lack of documentation around Vietnamese victims of the war. This includes requesting records from the U.S. National Archives and interviewing Jon’s family. The ache of Tracy Chapman's deadpan resolve to turn her words over to we delicate listeners as though cut directly from artist to audience is a pain congruent with history as much as it is with love and affection. Her words bite and grip in a way that is cause for examination—of distance, of contiguity, of distinction. I recall the song here because I want to speak of history through the music of the present (as though history’s here in this room with us–which it is) and because as artists we want to disenchant the cruel tricks, forgeries and science fictions we are all forced to live with. The work of Life of a Craphead—their stoicism and unpretending humor—is something I’ve known them to cultivate amidst cascades of bad (world) news and amongst a huge family of friends. Affection, which comes easy to them, is a wonderfully connective force through which something like empathy travels: first across bodies, then across time, and again back to bodies long forgotten or concealed. This is to say that the emotive contributions of Amy and Jon’s practice come from a preoccupancy that seeks to extend the in-the-hand possibilities of an encounter with a work of art to something that might bring history and the supposedly deeply wrought lessons it offers to bear on itself (as well as the abyssal failure of such lessons and offerings). When Chapman sings that “there’s a science fiction in the space between you and me” I propose this to mean that the transversive zone between bodies, by which common-knowledge would have us believe identity is made discontiguous and individual, is in fact the work of science and fiction alike. We live in an invention, you see–the world. Hurting me hurts you, and while I maintain that for you, my pain is most likely not understandable I know that, for you, yours most likely is. The “truth” then, “in the space between” lies in the fact that this depth is populated not by worded stories but bodied ones and that the segregatory defenses against this population are in fact manned and thus ultimately human and bodied as well. Amy and Jon’s rageful and loving destruction comes across somehow as light and immediate as a kiss on the cheek, and the joie-de-vivre with which these gestures land comes with the promise that you can hug and slap a ghost, deceased or living. What I mean—and what their work tells me—is that the past is not asleep: you can, with little pomp and circumstance, have the impossible conversations through which the world might be rendered capable of a human response. An adult contemporary song from 2000 is not exactly a current top 40, but what I mean by ‘music’ in this case is lyricism, poetry, or feeling. There’s a problem with this word: empathy is the ability to understand someone else’s feelings. The ableist belief in the primacy of understanding and logic that sets every imaginable state and situation neatly in line in an indexically fungible (exchangeable) grid of possibilities is one that turns the un-indexibal or un-understandable into the impossible. Affinity is a better word. See probably Fred Moten and Stefano Harny. The Undercommons, 2013. See Ruth Wilson Gilmore. In the Shadow of the Shadow State. The Revolution Will Not be Funded, 2009. See Hans Haake’s 2000 artwork Der Bevölkerung. ‘Manned,’ as in operated by a human and ‘manned’ as in operated by masculine patriarchal vision. See Hortense J. Spillers. On the Idea of Black Culture, 2006. In this essay Spillers explains Black Culture to be the work of saving the world from the regime of capital, expansion and militaristic dominion (the inventions and tools of white settler-colonialist global empire and business). Our salvation as a species, she explains, depends on wresting control of the world from the cold machinic logic of capital and rendering its faculties capable of a human response. Jason Hirata, born 1986, Seattle, examines the historical conditions of culture, social space, revolution and labor. Past works have lifted menus and meal plans of internment camps for people of Japanese ancestry from the archives of the U.S. Army Western Defense Command; reproduced Goya’s renderings of famine, in which peasants eat the blight-resistant yet neurotoxin-containing grass pea; investigated the application of theories of shareholder value to General Electric by its notorious CEO Jack Welch; and re-positioned LED streetlamp hardware at eye level, reproducing the condition of hyper- visibility so that sight is overwhelmed by illumination. Hirata’s works connect historical sites to show how financial speculation and risk are managed and implemented alongside a precarious model of the social. In his sculptures, drawings, and performances he examines how state and corporate practices and structures transform the cultural and material reproduction of life. 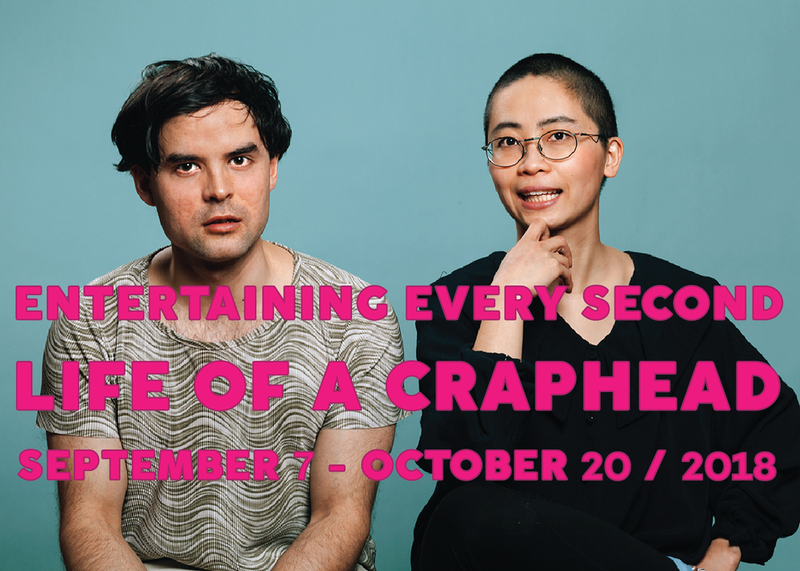 Life of a Craphead is the collaboration of Amy Lam and Jon McCurley. Their work spans performance art, film, and curation. The name Life of a Craphead comes from the opening joke of the very first live comedy routine they performed together in 2006. Their work investigates, through the central principle of humour, the different ways in which power and authority are deployed. Projects include King Edward Equestrian Statue Floating Down the Don (2017), a public art project where they floated a replica of a colonial statue down a river in Toronto; Bugs (2016), a feature-length film about a bug society; and The Life of a Craphead Fifty-Year Retrospective, 2006-2056, a fake museum exhibition of all of the work they will ever make (2013). They also organized and hosted the performance art show Doored from 2012-2017. Life of a Craphead has exhibited across Canada and the U.S. and has been featured in Art in America, Canadian Art, Washington Post, CBC, VICE, and others. Amy is Chinese and Jon is Vietnamese-Irish, and they live and work in Toronto, Canada.